Can GPs juggle patient care with NHS budget reforms? It has been a week since the government unveiled its health bill on NHS reform in England, and debate has been raging ever since. The proposals will devolve an £80bn budget for patient care to GPs - but more than 20,000 health service staff will lose their jobs following the abolition of 151 primary care trusts. The theory goes, that because medics are closer to their patients, they are better placed to direct resources where they are needed, and less likely to be wasteful. But why force so many NHS employees to go through the trauma of redundancy - a process which in itself will cost the taxpayer an estimated £1bn? The answer lies in a mixture of finance and philosophy. Andrew Lansley and his supporters believe that in the long run it will be cheaper and more efficient to contract out the bureaucracy; and that in any event, the job of the health service is to make people better not employ a vast army of admin staff. Some of the GP consortia are expected to employ private firms like Capita to perform "back office" functions previously done by NHS employees. Michael Dixon, a leading member of the NHS Alliance which represents existing GP consortia, says it does not really matter who does the job, as long it is done well - even if it is outsourced to the private sector. "Bear in mind, they're not the ones who are going to be calling the shots [or] making the decisions," he says. "They are just there with GPs helping them to decide which services they want and how they want them." The move towards a market economy does not end there. The proposed changes also open up the prospect of healthcare providers competing on price for NHS resources in an EU-wide marketplace - a radical innovation for a health service which has traditionally operated only within the UK, and where tariffs for operations were set centrally. Now GPs will be encouraged to secure services (anything from scans to operations to outpatient treatment) from private hospitals or even abroad as well as their local NHS hospital. For hospitals within the health service this is a double-edged scalpel. On one hand, they will be granted much greater control of their own affairs, becoming in effect self-governing organisations. They will also benefit from the lifting of the current cap on the number of pay beds they can accommodate, enabling them to compete directly with private hospitals. The downside, though, is that if they fall into debt, they could close. 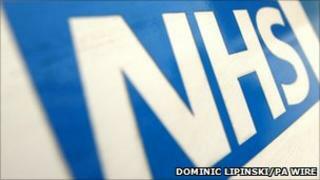 One expert told the BBC he expects 20 NHS hospitals in London and the South East to fall victim to these changes. But Dr Dixon is sanguine about this prospect, arguing: "the only hospitals that will close will be the ones that GPs and their patients don't want to go to". Dr Dixon forsees successful hospitals effectively becoming franchises, like successful businesses, opening new wings taking over their ailing rivals, and even branching out into new premises. There is evidence that this is already happening in some parts of the NHS. London's famous Moorfields Eye Hospital, for example, already has an outpost in Dubai. Expect more hospitals to follow suit if the proposed changes are accepted by Parliament. Martin Roland, professor of health services research at Cambridge University, is sceptical about the proposals, fearing the quality of treatment will suffer if cost becomes a decisive factor. He questions whether Monitor, the official NHS regulator, will be willing to protect a local hospital from the worst consequences of market forces, whatever a GP consortium may say. There are other concerns, too, not least whether a doctor can fulfil the dual role of guaranteeing the best care for the patient at the same time as holding the purse strings to his or her treatment. And then there is the issue of whether in a political landscape dominated by five year parliamentary terms, the government will have the determination to press on with such far-reaching reforms, especially if they prove controversial. "This is such a huge change that if it's going to work, it's going to take a long time to see it through, and there are some real risks in the short term - in the next two to three years - of things going seriously wrong," Professor Roland argues. NHS patients in England will at least be able to directly compare the success of the reforms by looking elsewhere in the UK. Decisions over health spending are devolved powers in Scotland, Wales and Northern Ireland, which are all clinging - for now at least - to more traditional structures. There will, in effect, be four versions of the NHS operating alongside each other and, if the Health Secretary Andrew Lansley manages to stick to his ambitious timetable for reform, voters in England will be experiencing his new style health service in good time to deliver their verdict on it at the next general election. You can hear the full 5 live Investigates report on the BBC iPlayer or by downloading the 5 live Investigates podcast. Job cuts loom as NHS faces "harsh reality"